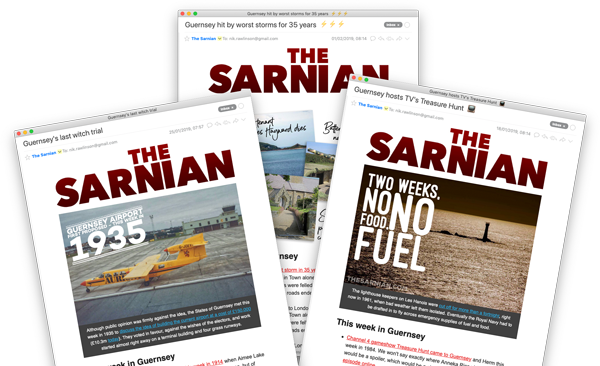 Guernsey Press registered its eponymous home on the web – guernseypress.com – in January 2000, but this wasn’t its first online venture. It had previously made a home for itself at thisisguernsey.com and .co.uk, which it had registered 22nd January 1998, and – even earlier – at guernsey-press.com, which was registered in 1996. Several years after it stopped publishing news on its “thisisguernsey” domains, the brands were still working hard for Guernsey Press. In 2018, web analytics service Alexa showed “this is guernsey” and “thisisguernsey” being the first and fifth most popular search terms used by visitors to guernseypress.com. SimilarWeb also put “this is guernsey” at the top of search keywords, with “guernsey press” and “guernsey news” coming in second and third. Naturally the publisher itself has the best idea of who visits, where they come from and why, but if these analysis sites are correct, a higher proportion of women and people at work visit guernseypress.com than the average of all sites across the web (says Alexa). Guernsey Airport is the most popular place people click through to after visiting, and just over 70% of its visitors come from Guernsey (according to SimilarWeb). The earliest incarnation of guernseypress.com preserved by the online Wayback Machine illustrates how unfamiliar many still found the web at that time. It instructed visitors that “to navigate around our web site is easy, simply click on the links on the side bar and you will be taken to that section of our web-site”. However, an earlier, hyphenated guernsey-press.com was archived on 5 December 1998. It includes the story of Olympic gold medallist Duncan Goodhew and his friend Richard Bickerton becoming the first men to swim 12 miles around Alderney, revealed that British Aerospace had been appointed to manage the development of the new terminal at Guernsey Airport, and explained that campers on Alderney had been raided after innocently buying a “love potion” that police believed contained the drug speed.